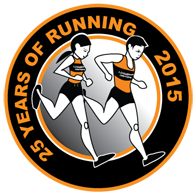 The event is a 5 Mile Road Race starting and finishing in the Littledown Leisure Centre, Bournemouth. It is run on pathways, along pavements parallel to roads and through public parks.The route surface is tarmac throughout Roads and paths remain open to the public. This race is part of the DRRL. If you are competing as a member of Poole AC, it is MANDATORY for you to wear the club road race colours (white top with black hoop and gold club name). This race is also included in the Poole AC Club Championships.